A. 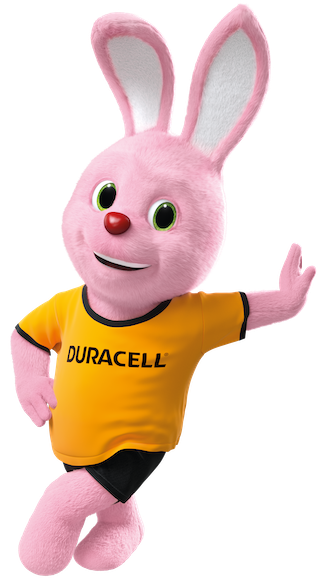 Great Britain residents need to purchase any pack of Duracell® batteries with no minimum value at any Tesco store, take a photo or scan their valid receipt and upload onto the competition website along with their contact details between Wednesday 8th November 2017, 00.00 and Thursday 4th January 2018, 00.00. Entry is open to Great Britain residents aged 18 or over. Only one prize per person (same name, same address, same email, phone number). B. For residents of Northern Ireland and Republic of Ireland, this promotion is no purchase necessary. To enter the promotion, ROI participants will have to text BB-8 to 51500 and NI participants will have to text BB-8 to 81222 between Wednesday 8th November 2017, 00.00 and Thursday 4th January 2018, 00.00. Entry is open to NI and ROI residents aged 18 or over. Only one entry per participant (same name, same address, email address, phone number). No additional charge to enter. 1. This promotion is open from Wednesday 8th November 2017, 00.00 to Thursday 4th January 2018, 00.00 and to any resident of Great Britain upon purchase. The Duracell® product purchase from a Tesco store must be proven via a valid receipt. The promotion is open from Wednesday 8th November 2017, 00.00 to Thursday 4th January 2018, 00.00 to residents of ROI and NI, on a non-purchase necessary basis. Employees of Promoter and their immediate family agency are not eligible to participate. To enter, customer needs to purchase any pack of Duracell® batteries with no minimum value, take a photo or scan their valid receipt and upload onto the promotional website along with their contact details between Wednesday 8th November 2017 00.00 and Thursday 4th January 2018 00.00. Only one prize per participant (same name and same address, same phone number). Participants just need to text BB-8 to 81222 between Wednesday 8th November 2017 00.00 and Thursday 4th January 2018 00.00. Only one entry per participant (same name, same address, email address, phone number). No additional charge to enter. Participants just need to text BB-8 to 51500 between Wednesday 8th November 2017 00.00 and Thursday 4th January 2018 00.00. Only one entry per participant (same name, same address, email address, phone number). No additional charge to enter. 3. The winning entries will be chosen at random by a prize draw at the complete discretion of the Promoter (Duracell UK) after the 4th January 2018. 4. Entries not submitted in accordance with the present terms and conditions will not be considered. 5. The prize consists of a Star Wars: The Last Jedi Hyperdrive BB-8 toy with an RRP value: £129.99. Winning prize toy model may differ from model shown on promotional artwork. There are 100 (one hundred) prizes available to be won across the UK and Republic of Ireland. 6. Winners will be contacted by the Promoter within 10 business days of the selection via email for Great Britain participants; and via phone for NI and ROI participants. Personal data will not be stored or used for future marketing campaigns and will be deleted after the promotion. 7. In the event of any prize not being available for whatever reason, the Promoter may offer an alternative prize of equal or greater value and quality. Prizes are as stated with no cash alternative in whole or in part and are non-transferable. 8. Prizes will be sent within 8 weeks after selection of the winners. Any prizes unclaimed after reasonable efforts from the Promoter to contact the winner will be distributed at Promoter’s discretion. 9. The Promoter does not accept any responsibility for late or lost entries due to Internet Errors. The Promoter is not liable for lost prizes or prizes unclaimed before the respective deadline. 10. The Promoter reserves the right to cancel the promotion at any stage, if deemed necessary in their opinion, and if circumstances arise outside of their control. 11. The Promoter reserves the right to withdraw any winner through a fraudulent claim. Upon there being no entries, there will be no winner. 12. In case of dispute, the Promoter’s decision is final and binding in all matters and no correspondence will be entered into. 14. The Walt Disney Company, Lucasfilm Ltd. and each of their respective parent, affiliates, and subsidiaries are not responsible for the promotion, administration or execution of the competition.